This week will mark an early Independence Day for thousands of Chicago youth, due to changes in Chicago’s tobacco laws that will allow them to face a future with less addiction, illness, and early death. Beginning on July 1, the minimum age to purchase tobacco products in Chicago will increase from 18 to age 21. 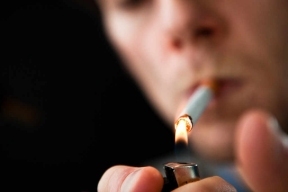 Recognizing that 90 percent of smokers start the habit before the age of 21, and that the 18-20 age range is a critical time for new smokers, these reforms seek to protect young people who are more vulnerable to nicotine addiction, and are also targeted by the tobacco industry with marketing and products designed to lure youth. “Because their brains are still developing, adolescents are especially vulnerable to addiction to tobacco and related products. By delaying the age that youth are exposed to these products until that critical development has taken place, we increase the chance they are able to resist addiction to tobacco,” said Dr. Julie Morita, Commissioner of the Chicago Department of Public Health (CDPH). “Keeping our youth away from tobacco until they are 21 is likely to extend their lives and boost the overall quality of their health.” According to the 2014 U.S. Census, there more than 118,000 residents ages 18 to 20 in the City of Chicago, thousands of which the city estimates will avoid the dangerous impacts that tobacco usage and habit can cause, because of this new law. Chicago joins major cities such as New York, Boston, Cleveland, Kansas City and Evanston have already made the change to the purchase age. To read more about the health benefits of raising the tobacco purchase age to 21, please visit the Campaign for Tobacco Free Kids website.